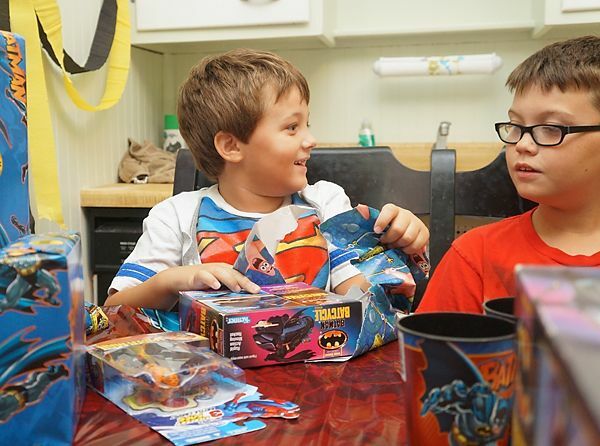 Batman- The 1989 Film: Special Feature: Blaze's Batman Birthday Bash! 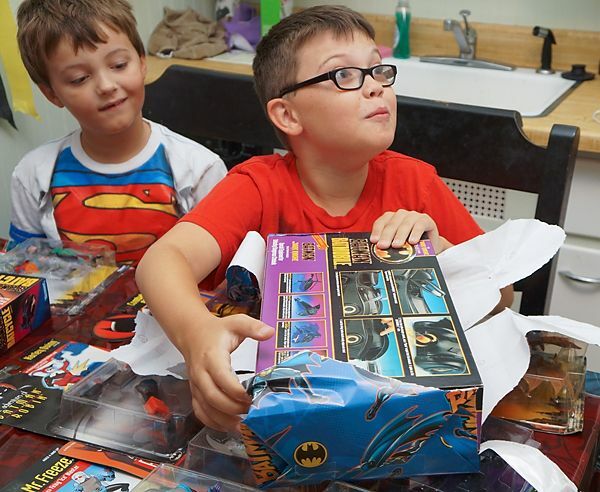 Since both my boys are really good about not asking for toys outside of birthday and Christmas, and since Blaze was pretty firm about what he wanted so far in advance, I had a lot of time to seek out plenty of goodies for this year. 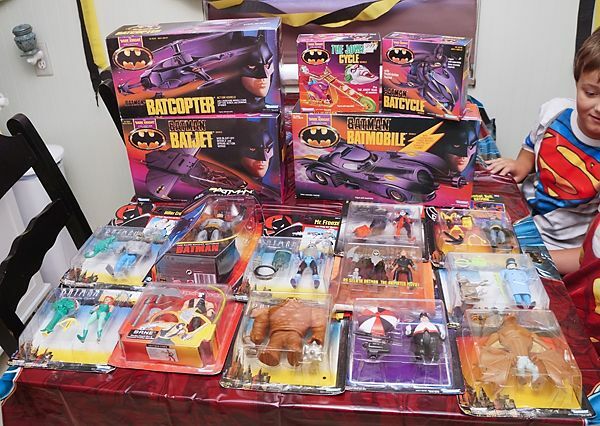 I hunted flea markets, watched online for deals, and called in a few favors with fellow collectors until I stockpiled enough Bat-treasures to make this an epic haul. Yeah, it may seem a little overboard... But like I said- The boys are REALLY good about not begging for toys throughout the year, saving up their wants for Christmas/ Birthdays, so these are the times we go a little overboard. And since Blaze is getting a bit older now, I am not sure how many of these "toy-centric" birthdays I have left to go nuts on... I wanted this one to be BIG. Plus, there was the whole "Year of the Bat" thing. That face says it all. 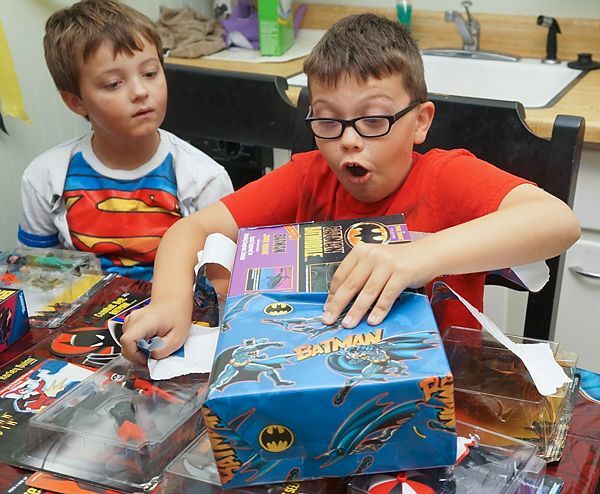 I am pretty sure I had that same look on my face way back in 1989 when I opened up my Batman stuff. I take a lot of pride in the fact that my sons still enjoy playing with toys... Using their imaginations instead of always being plopped down in front of a video game. I think kids today have lost a lot of the "magic" involved in playing with toys that I had growing up- But that face up there shows me that they can still have all that; It just takes a little work to bring it back out. Of course, what would a birthday be without cake? 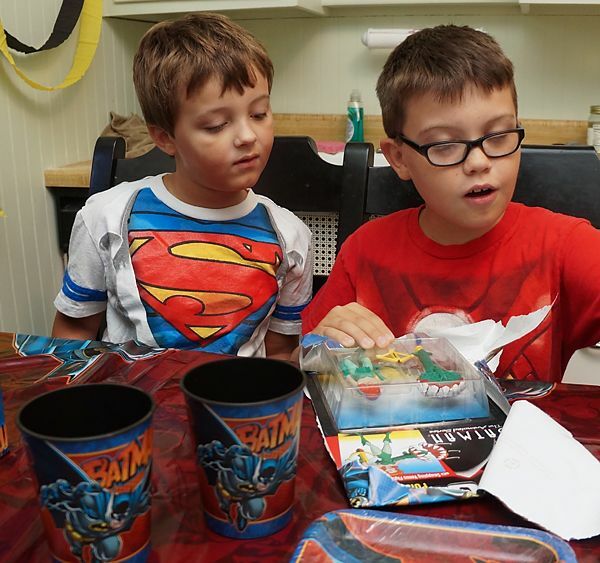 Blaze asked if it would be possible to have a 1989 Batman cake (which I was all for). Problem is that: a.) This is 2013 and 1989 Batman-themed cakes aren't exactly at every bakery, and b.) most places that make "picture" cakes ask that you either own the rights to the picture you use or that you have permission from its owner. Taking in a picture of Michael Keaton as Batman just wasn't going to fly. But my pal Matthew Parmenter stepped up to the plate and solved this little dilemma for me. 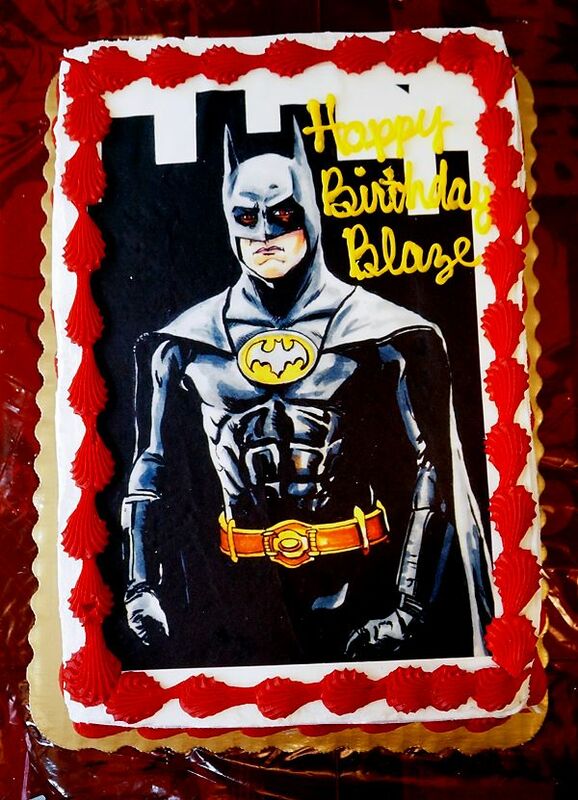 By providing this illustration he did of Keaton as Batman for use on the cake, we were able to avoid those pesky copyright issues and give Blaze one bat-tastic birthday cake! Brilliant substituting TAS villains for lack of Burton villains. We must shield future generations from the shambles of Schumacher. Video games... speaking of games will we see the movie tie-in games be covered here? 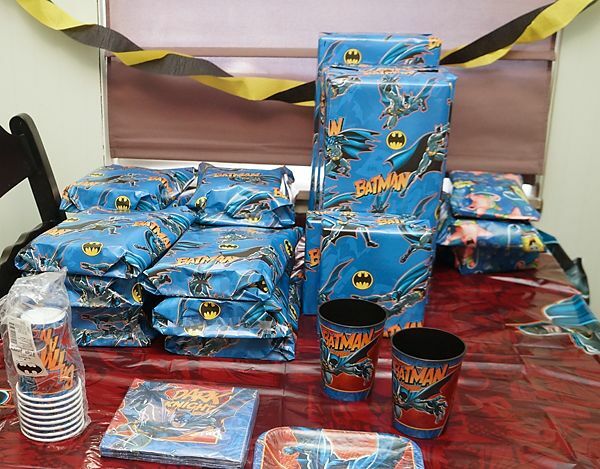 Definitely brings me back to my own Bat-Birthday Bashes of yesteryear. Thanks for sharing.